On the season finale of NBC’s weight-loss competition reality show, “The Biggest Loser” the finalists included two men and one female: Jackson Carter, Jeff Nichols, and Danni Allen. Viewer fans voted to enter Jackson Carter into the finals. Pictured: Jackson Carter BIGGEST LOSER finalist. 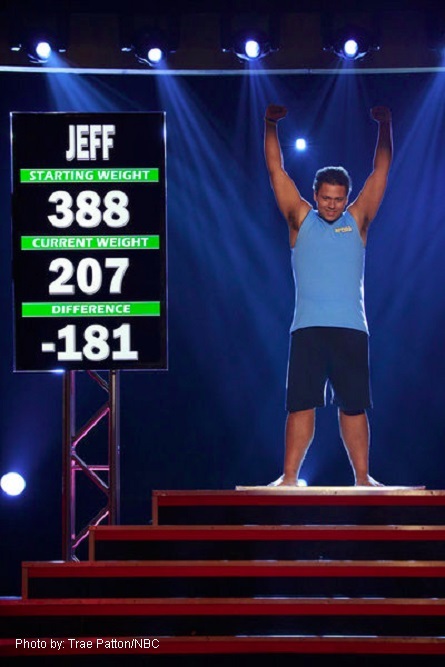 Pictured: Jeff Nicholas BIGGEST LOSER finalist. Coach Dolvette Quince said of Nichols that “his back story was so touching. He inspired me. He was the leader on my team.” Sweeney stated to Nichols, “If you want to be the best you have to beat the best”. Nicholas said that his Dad told him that if he could lose the weight that he would be proud of him. Nichols said he doesn’t know the last time that he was proud of him and that he hasn’t had male bonding in a long time in reference to his bonding with Harper. 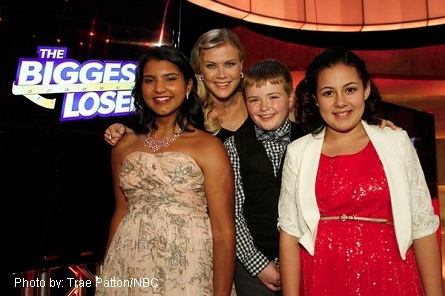 Pictured: Kids of THE BIGGEST LOSER (l-r) – Sanjany, Biingo, Lindsay. Pictured: Danni Allen BIGGEST LOSER finalist. They all left the stage to change into their “weigh-in” outfits for the “final weigh-in” to determine who the biggest loser would be this season and win the grand prize of $250,000. Before going up for her final weigh-in Allen said that she felt great and that nobody can take it away from her. In order to win “The Biggest Loser” Allen needed to have lost 121 pounds. Michaels received that hug after Allen weighed-in at losing exactly 121 pounds and was crowned as season 14’s Biggest Loser! 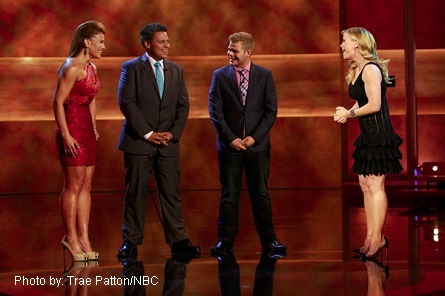 Pictured: The winning moment – contestant Danni Allen. 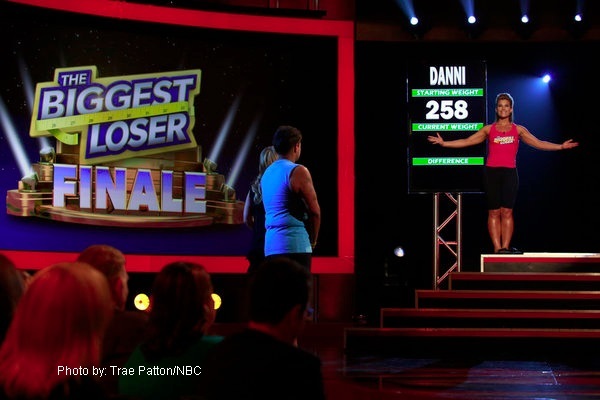 Pictured: Danni Allen wins THE BIGGEST LOSER season 14.